Julie presents a body of work shaped by living alongside the transient beauty of the Thames Estuary. A response to the ebb and flow of the tides, smoothing and unsettling, revealing and concealing, a myriad of forms and found objects and fragments of history. 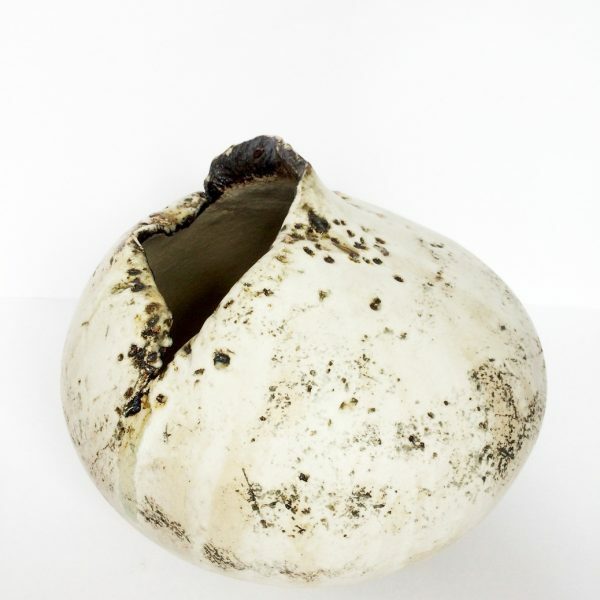 Julie hand-builds using a very coarse textured stoneware clay, incorporating pebbles, shells and sea-glass taken from her local Leigh-on-Sea shoreline, yet there remains a sensuous delicacy or fragility to her work.